Jade Bead Jewelry – What Is Jade? If you make hand-crafted jewelry, use a lot of jade. It’s easy and inexpensive to buy. It looks great on necklaces, bracelets, and earrings – on its own or mixed with other stones. Jade is available in loose beads and temporarily strung into strands. Loose beads are cheaper, but strand beads have more-uniform drill holes, so will hang better, making them best for necklaces. However, if you plan on knotting your necklace, then loose beads will do. Most colored jade is dyed, this is usual, and the color doesn’t come off. So if you want continuity it is best to purchase all you need for a project in one go. Jade beads are carved into more different shapes than other stone. Like tiny, fish, bottles, rings, flowers, barrels, hearts, tubes, and many other designs to compliment a necklace or bracelet. Part of the appeal of jade is its mystique – use this knowledge to help sell your jade jewelry. “A symbol of purity and serenity. Is delicate: but will not break. Is beautiful: but not impermanent. Jade is remarkably tough, used by ancient civilizations for axes and weapons. The Aztecs even taxed it. However, because of its smooth texture, it was soon carved into ornaments and jewelry. Chinese jade first arrived in the West during the sixteenth century, brought from Canton by the Portuguese. Today jade continues to be a symbol of love, virtue, and status. It is believed to radiate divine unconditional love and balance the emotions. Held in the hand it can improve judgment – silk traders clasped jade while bartering. Worn around the neck, jade was said to dispel illness and cure kidney problems. It was even used to bring immortality. Entire jade suits have been found in ancient emperors’ tombs! Most jade carved in China is from Burma, with shades of green, lavender, yellow, white and grey. Naturally, these colors form over millions of years from minerals in the rock. 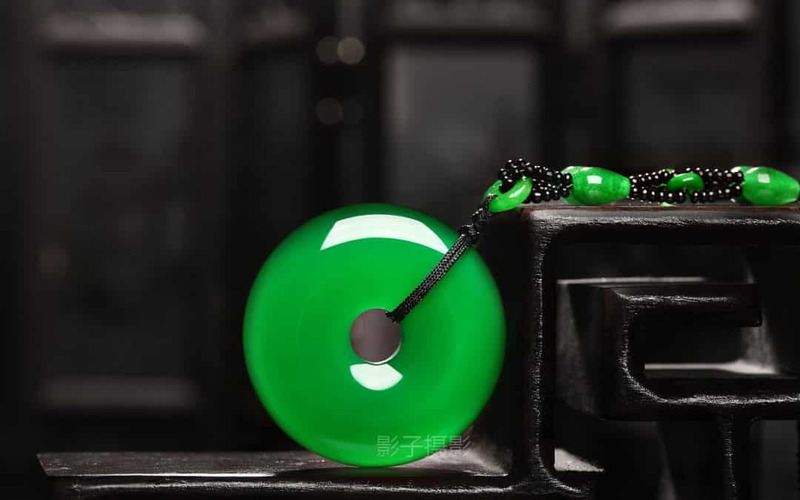 The emerald-green color of “Imperial Jade” jadeite is the most sought after by collectors. Only 150-years ago, it was realized that the word jade was being applied to two different minerals: jadeite and nephrite. The nephrite variety is composed of fibrous crystals inter-twinned in a tough compact mass. Nephrite is more abundant than jadeite and has fewer color varieties – usually less intense dark spinach greens, white, browns, and black. The best jade has a waxy, pearly appearance. Feeling cool and so smooth, it seems soft to the touch. Yet hard enough that pressure from a sharp knife will not leave a mark. Quality rocks are usually cut into smooth dome shapes called cabochons, which are sold by the piece rather than per carat. Although the overall color is the most important factor, attention is also paid to translucency, texture, and pattern. Certain patterns, like moss in the snow, are highly valued. Jade beads are usually made into necklaces and bracelets. Try mixing different shapes with complimenting colors to produce stylish jewelry. Matching jade earrings also look good. Design matching sets to boost your sales. 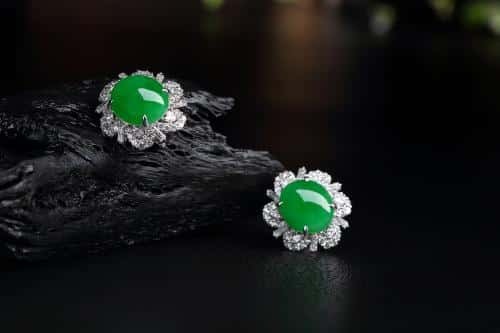 Apart from beads, jadeite bangles have always been popular in Asia – some as recent as the art deco period have fetched hundreds of thousands-of-dollars in auctions. So buyers expect jade to be expensive. If you’re selling hand-crafted jade jewelry, this helps your bottom line.